Berlino Schule is celebrating 2019 with new interesting German courses: intensive, evening, private and Skype classes. Don’t skip any of these opportunities! 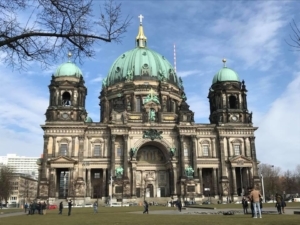 It is your first time in Berlin, or you have been living in Berlin for quite a lot of time, but you still have the feeling you cannot speak German fluently? Don’t worry. You are neither the first nor the last to experience this. This is why it is extremely important to rely on the right school. Berlino Schule provides you with qualified teachers, who have been teaching German for lots of years. Don’t miss the opportunity to learn “this (not) impossible” language in an international environment! 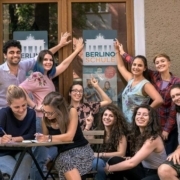 Berlino Schule has the best quality-price ratio: it can provide you with a proper language education, with qualified and German native teachers from just 4€/hour*. Moreover, whether you are in need of an accomodation, we can help you find the right one for you. 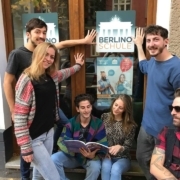 Berlino Schule provides students with three kinds of German course: intensive (morning and afternoon), extensive (evening) and private lessons. Our intensive courses are held in the morning. Classes will take place 4 times a week, from 8.45 to 11.15 or from 11.40 to 14.20. The course will last four weeks, for a total amount of 48 hours. Evening German courses last 8 weeks, for a total amount of 48 hours: classes take place twice a week (Monday and Wednesday or Tuesday and Thursday), 3 hours per day, from 19.15 to 21.40. Do you want to give a boost to your summer? Would you take advantage of the summer holidays to improve your German, a language which is getting more and more important in the labour market? 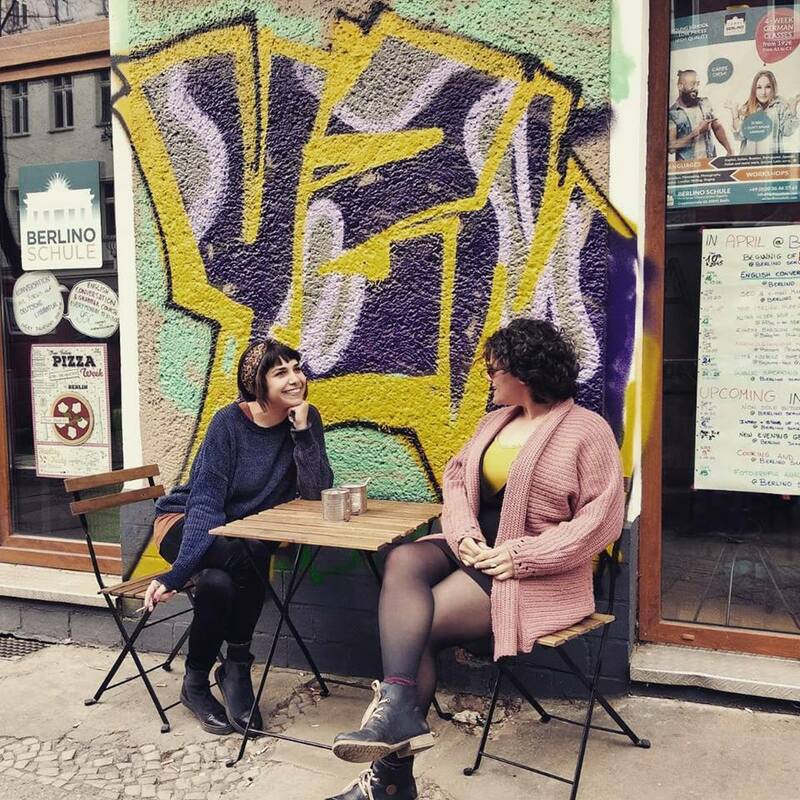 Are you looking forward to coming to Berlin, a city full of culture, art and nightlife? 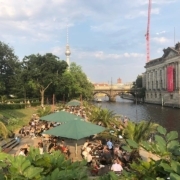 Summer School of Berlino Schule is the study trip you are looking for. If you choose to enroll to our classes, you will have the possibility to attend super intensive courses of 5 hours per day (from Monday to Friday) for 2 weeks, in a lively and international district of Friedrichshain. That’s not all! 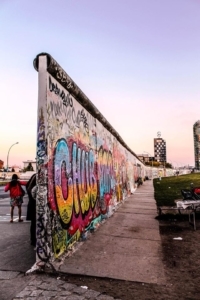 Students attending the courses at Berlino Schule will be offered the chance to join in afternoon activities, related to the German language (i.e. cineforum, walking tours, museums, conversation activities, etc) for a total amount of 8 hours per week. When. Summer School courses will be held from the 8th of July to the 30th of August and will be every 2 weeks: 8-19 July, 22 July-2 August, 5-16 August, 19-30 August, every day, from 14:30 to 18:45. Today the photocontest #quantoèbellaberlino ended and we have selected the three winners! The prizes were a German course at Berlino Schule, a dinner for two at MedEATerranean Trip and an artisan bier tasting with apetizers at Birra. The Summer School courses are super-intensive German courses that last two weeks and take place from July to September. They consist of 5 -hour* daily classes, from Monday to Friday, for a total amount of 50 hours*. The atmosphere is very friendly and the teachers certified and experienced. Here the information about the next courses. The first winner has the possibility to take a course for free and complete a semi-level in just two weeks! 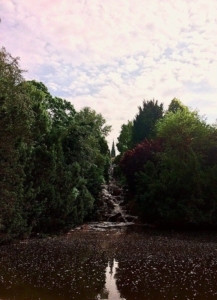 The photo contest aimed to represent Berlin and highlight its beauty. Of course there were the Berliner Dom, the Siegessaule and the Brandeburger Tor. We have selected the final winners taking into consideration the likes each photo had on 2nd of July at 12:00. The first place: with 1117 likes the winner is Elisa Pozzi with her photo Back to the 90ies. The second place: with 613 likes Lorenzo Sartori wins the second prize with his picture Berlino è più forte della realtà. The third place: with 176 likes Maria Stefania Atzori wins the third prize with her photo Duomo di Berlino. Here the photo album of the contest #quantoèbellaberlino on Berlino Magazine’s Facebook page to enjoy the pictures of the German capital. Many different levels of German courses in July as well as the whole summer. Summer is coming but Berlino Schule isn’t closing its doors. Our latest online reviews (both on Facebook and Google) reward us with 5/5 stars, thanks to the quality of our teaching and our low prices. Our students claim to have been positively stimulated by our international, young and dynamic atmosphere. Find below our offer for the next months. From July until September, along with our regular intensive and evening courses, we will also offer superintensive courses. These last 2 weeks each (50hours* in total) and cost €268. Thanks to this type of course, you could be able to complete a whole level within a month! Moreover, our superintensive courses are part of our Summer School project, which includes up to 15 hours of complementary activities, such as guided tours and film screenings! Every course is taught in the target language, i.e. our teachers constantly speak the language that our students want to learn when delivering their lessons or explaining the concepts. Our method relies on the belief that a total immersion in the language is the most effective way to improve one’s level. Our teachers have regular meetings to ensure the consistency of our method, regardless of the level of each course. Choose the most suitable course for you! 2 months of evening classes, 2 hours per day, 2 times a week, 48 hours* in total. To enroll and have more information, don’t hesitate in contacting us at: info@berlinoschule.com or visit our website.